It's music time! No problem! Bring the joy of music to your classroom with this one-of-a-kind resource created for music teachers in training, beginning music teachers, elementary classroom teachers, and even band, choir or orchestra directors who are teaching general music for the first time! 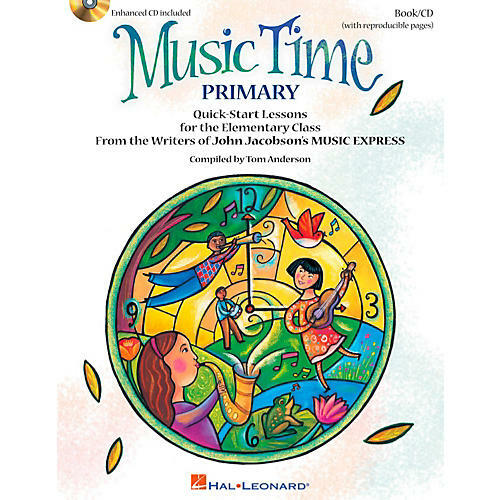 Teach the basics with quick-start, sequential lessons designed for younger elementary age groups. Pick and choose what works best for your needs with opening activities, music FUNdamentals, music reading, singing games, listening lessons and assessment activities. This all-in-one resource comes with an Enhanced CD of the highest quality recordings, 2 orchestral masterworks and PDFs of songsheets, piano accompaniments, instrument parts, listening maps and activities for printing and projection options. Time's a-wastin'! Let's get started! Available: Teacher Book/Enhanced CD. Suggested for grades K-3.